What animals live in the Waite Arboretum, and where? The Waite Arboretum has recently launched a new Wildlife Orienteering Trail featuring 30 metal creatures from beetles and butterflies, to lizards, bats and koalas! 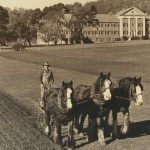 This website is the online portal to the Waite Campus, the largest concentration of agricultural research and teaching expertise in the Southern Hemisphere. Established in 1924 and located at Urrbrae in Adelaide, South Australia, ‘The Waite’ is a co-located partnership of 15 complementary organisations and centres engaged in world-class Research and Development in plant, agricultural, food, wine and natural resources science. In an increasingly food-insecure world with serious climate and economic challenges facing us, the vision of Peter Waite, to harness science in support of agricultural productivity, has never been more important or relevant. The Waite is a world-renowned brand in agricultural research and education, and a leading centre of Australian research capability in wine, grains, soil and plant breeding. The aim of this website is to bring together in one place the relevant information, including key contacts and links, from across the organisations based at the Waite Campus for our various stakeholder groups. We trust you will find it useful. Waite Arboretum Wildlife Orienteering Trail launched- What animals live in the Waite Arboretum, and where? The Waite Arboretum has recently launched a new Wildlife Orienteering Trail featuring 30 metal creatures from beetles and butterflies, to lizards, bats and koalas! 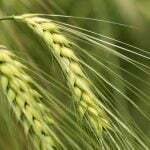 New Barley Release- WI4896 is a new barley variety bred by the University of Adelaide that has just been named Leabrook (PBR 2017/197), with yield and agronomic data now available from the National Variety Trials website. The Waite Campus of the University of Adelaide is an integrated research and teaching precinct that has been presented as a model for the collocation of agricultural research institutions and has established a track record for delivering value to industry through innovative research and quality education. Click the logos below to view each partner’s page.